'Current coalition is, in my eyes, core of next coalition,' Netanyahu said. Israeli Prime Minister Binyamin Netanyahu said Monday he hoped for a similar right-wing coalition after early elections that his government agreed to hold in April. Netanyahu, speaking to journalists after the polls were announced, laid out what he sees as his achievements and said he hoped the current coalition, seen as the most right-wing in Israel's history, serves as the "core" for the next one. "The current coalition is, in my eyes, the core of the next coalition," Netanyahu said. "We ask for a clear mandate from the voter to continue to lead the state of Israel in our own way." Elections were not due until November, but there had long been speculation that the coalition would not last that long, especially in recent weeks. Netanyahu has been clinging to a one-seat majority in parliament since former defense minister Avigdor Liberman resigned over a controversial Gaza ceasefire in November. He is also under pressure after police recommended his indictment in three different corruption probes. 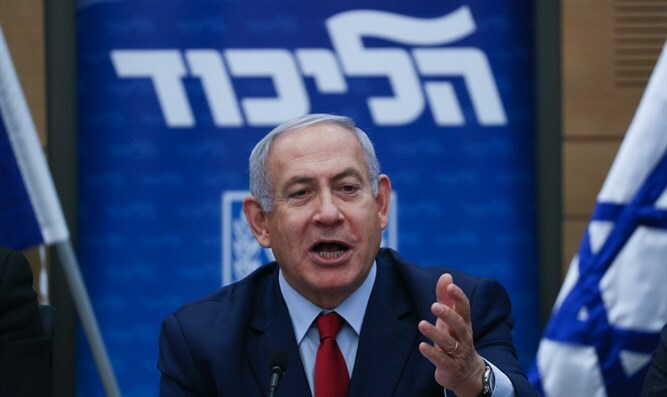 Despite that, polls indicate Netanyahu would remain prime minister after new elections and some analysts believe he would be better positioned to face potential criminal charges with a fresh electoral mandate.